Help! We’re drowning . . . Here in the Pacific Northwest spring season, it’s time for the cherry blossoms to burst open, saving the beleaguered denizens of the dark and damp. This winter, especially, has settled in like a watery vortex over our little corner of the country. Families dressed in their best clothes will be standing under the trees, picnicking, taking pictures, and soaking in the breathtaking beauty of these old trees. They are lovingly attended and protected by all. In Japan, the season of Sakura, which also means “cherry blossoms”, is celebrated with Hanami, which means “watching blossoms”, or “flower viewing”. It is a holiday of sorts, celebrating renewal and the ephemeral beauty of these flowers. Needless to say, cherry blossom viewing is a family-friendly activity. Below are some links to various cherry blossom festivals around the USA and the world. Please feel free to send in your recommendations as well. University of Washington Cherry Blossom Watch – This page describes the weather conditions that predict cherry blossoms, the history of the trees on the Quad, and the varieties on campus that bloom at different times. Included are links to a map and a live feed. Seattle Cherry Blossom & Japanese Cultural Festival, April 26-28, 2019 – This festival has a 40 year history, and is held at the Seattle Center, with music, food, arts, and hands-on activities. Macon, Georgia’s International Cherry Blossom Festival – huge website with multiple pages describing 10 days of events March 22-31, 2019. Held at Central City Park, there are performers, rides, food, activities, and historic tours. A fireworks show is held the last day. Washington DC Cherry Blossom Watch – Click on the current year to learn about predicted bloom times. See the Visitor Information tab for tips on taking kids, parking options, and details about the Blossom Kite Festival and Festival Parade, held within the Festival dates of 2019: March 20 through April 13. 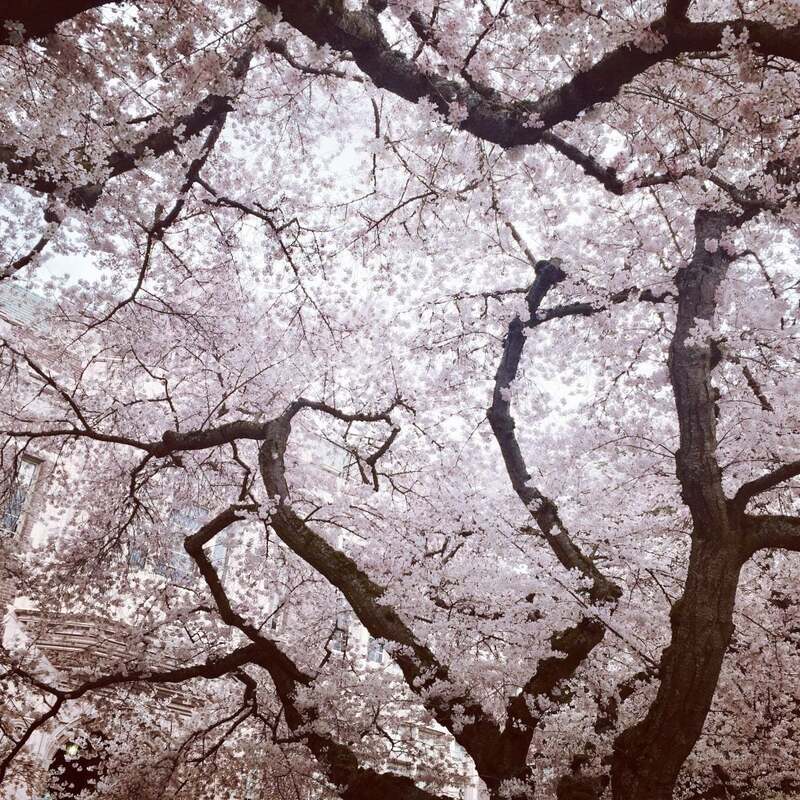 Brooklyn Botanic Garden Sakura Matsuri – April 27 and 28, 2019 in Brooklyn, New York, the festival has events and performances celebrating Japanese culture. The ‘Cherry Watch’ link provides bloom predictions and a map of the Botanic Garden’s tree locations. St. Louis, Missouri Botanical Garden – Read descriptions of the flowering trees and their bloom times within a few of the vast garden’s areas. The Japanese Garden area is expansive, with 14 acres of blooming trees. The Bloom: Japanese National Travel Guide – This bright pink page provides a map of Japan, with predicted bloom times for each location. The predictions give ‘first bloom’ and ‘full bloom’ times, with historic comparisons. 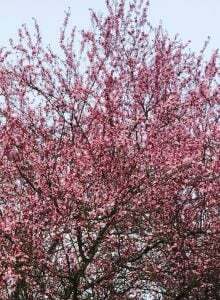 Mild Weather Brings First Cherry Blossoms in Shanghai – From a Shanghai family website, this page describes blooming periods and definitions, and gives four locations in Shanghai to see the amazing blooms. Where to See Cherry Blossoms in Sweden – 5 places in Sweden, including Stockholm, to see cherry trees in bloom. The article provides links to the parks with events or festivals. Botanical Garden Curitiba, Brazil – This TripAdvisor page provides a map for the location of the massive park. Type ‘cherry’ in the ‘Show reviews that mention’ box to see descriptions of the tree blooms. 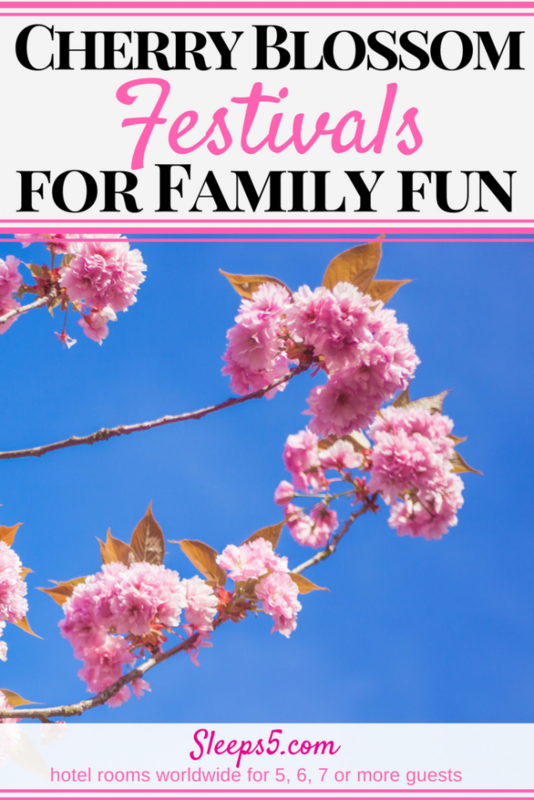 Activities for Kids – This page provides ideas and links to teach kids about Japanese culture, its games, crafts, and foods, and adding ways to learn about cherry blossoms. Tips for Taking Young Kids to the Cherry Blossoms – Though this article pertains to the giant festival in Washington DC, the tips about managing crowds, planning food and rests, and the note about not allowing children to climb the trees could pertain to any cherry blossom festival location. 5 Tips for Enjoying your Cherry Blossom Picnic with Kids in Japan – This fun article gives easy tips and places in Tokyo to enjoy the blossoms with kids. It also has a short video showing multiple families and little kids enjoying a picnic under cherry trees! 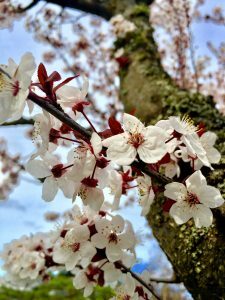 Ohanami manners, the Do’s and Don’ts of viewing Cherry Blossoms – This page gives additional general guidelines for enjoying the cherry trees without damaging them, and being polite to fellow tree gazers. Sleeps5–It’s Black History Month, let’s Celebrate!